This post is sponsored by Levi's®. Explore the Lookbook. A lot of guys assume that dressing well means dressing up, but luckily that isn't always the case. Instead of dressing up strive to dress intentionally. On Primer we always encourage you to dress well, even if your no-style pals drop one-liners on you, but it also doesn't make sense to wear a cardigan and dress pants when you're meeting your buddies for a few beers at a sports bar. 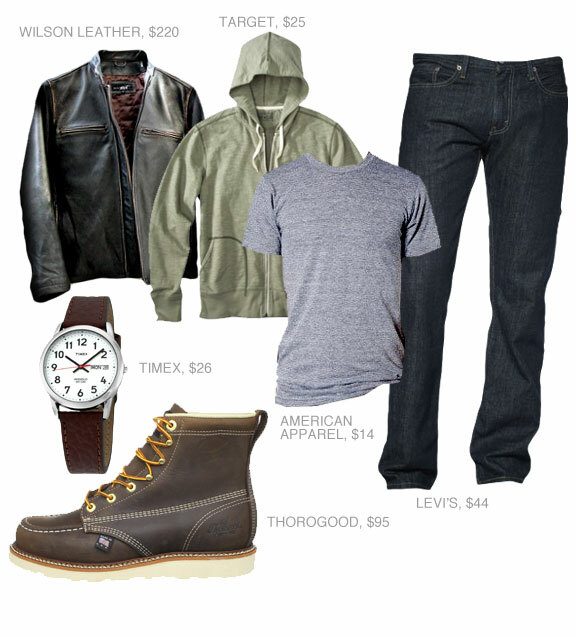 Here, we have layers of common casual basics that create a great, rugged look. Your friends won't hassle you, and you'll still look sharp. Lucky you, you're being dragged around town all night to clubs. 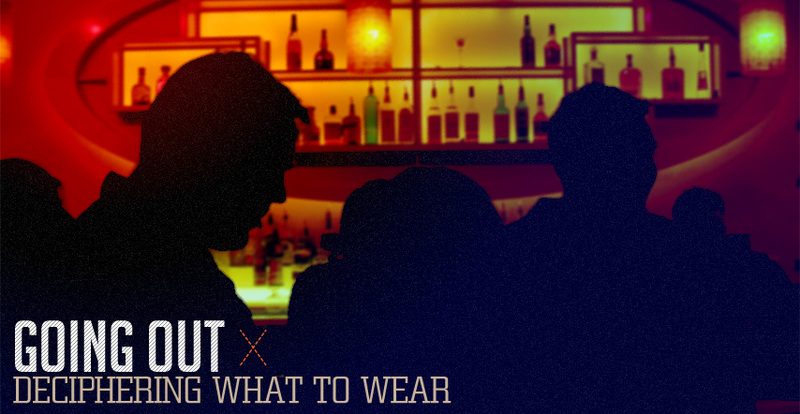 Clubs have a peculiar dress code. You have to dress to a certain level to get in, but light enough that you'll be comfortable stuck in a room with hundreds of people dancing. In many cities you won't be allowed in with sneakers or some boots. That means footwear that is dressier than a pair of Red Wings, but less dressy than your Allen Edmond wingtips. Men are so consistent when it comes to what style of shirts they wear to clubs that it's become a cliche: dark striped dress shirts, most likely from Express. To ensure you look better than a stereotype, switch up the material your shirt is made with. This chambray shirt adds texture without adding the heat of something like flannel. Finally, ditch the black square-toed shoes and choose something classic and simple. So you're meeting a girl for a date at a cocktail lounge to appreciate artisan mixology, nice! But what to wear? You could go with a suit sans tie, but it's pretty dressy, and you may be outdressing her. Never a good idea. You could wear dark jeans, but you are trying to do something nice and different, so upgrading from what you'd wear on a normal date is smart. Opt for a texture, like this herringbone sportcoat. 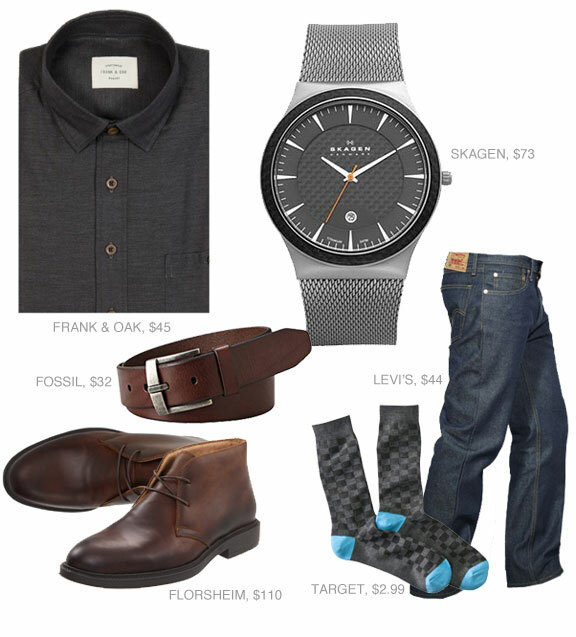 Pairing with corduroy pants creates something more than jeans, but doesn't dress you up. Balance out the earth tones with a colorful checked shirt. This is perfect, Andrew. I always find myself second guessing how dressy to be in these different situations, and now I’ve got a perfect guideline. Keep up the good work! I found your site about a year ago and it’s been my go-to ever since. Yep, awesome post! Several great tips I’ll keep in mind for future references. Thank YOU! Hey, I’ve had that leather jacket for a few months now. It’s awesome and definitely higher quality than another other leather jacket at this price. For the winter here in Germany, it’s actually warmer than my peacoat. Totally recommended. How does it fit? Is it true to size or did you have to size down? I’ve got the jacket in a medium, I’d say it’s pretty true to size. The sleeves are a little longer than a normal jacket, but that’s intentional since it’s a motorcycle jacket. It’s a dark chocolate brown. I love it, had it for 2-3 years. 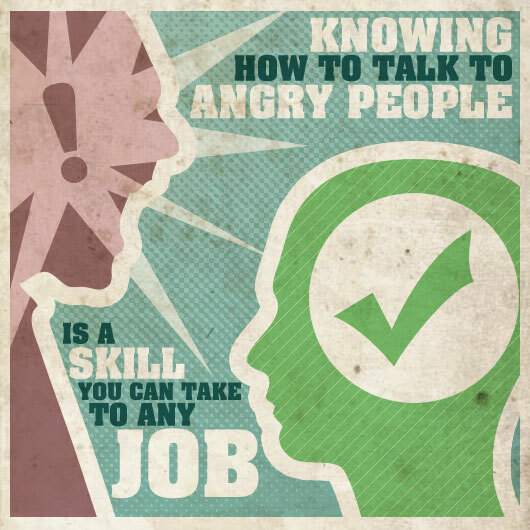 This is a great guide. I can see this idea becoming a series. Please expand on it and continue to put together different outfits for more occasions. Thanks! Thanks Scotty, glad you liked it! Any occasions you’d like to see in particular? As a college kid I find it tough to balance looking good with being too dressed up. Maybe a few casual but stylish outfits for going to class? Especially an issue in the winter, I seem to only wear v-neck sweaters and thermal tees. A work environment that is too casual. Polos and Khakis is expectation. When I wear a tie or slacks, I gather too much attention because everyone assumes I am interview. 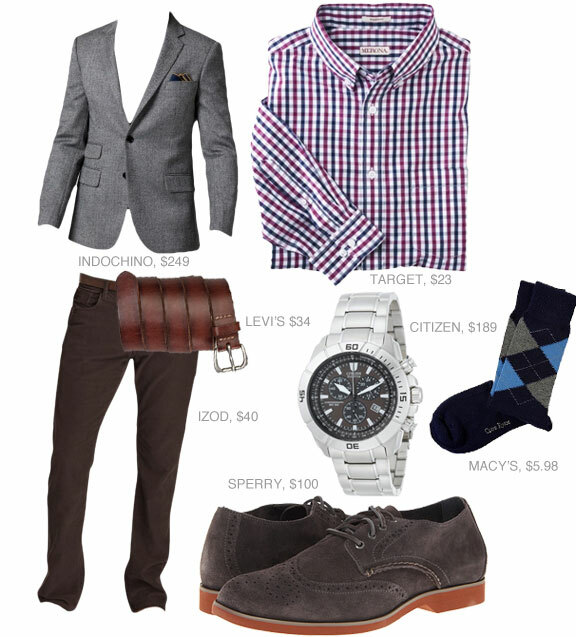 How to dress nice in a casual environment? Can anyone comment on how that leather jacket fits? True to size or size up/down? Thanks! Mine is true to size. 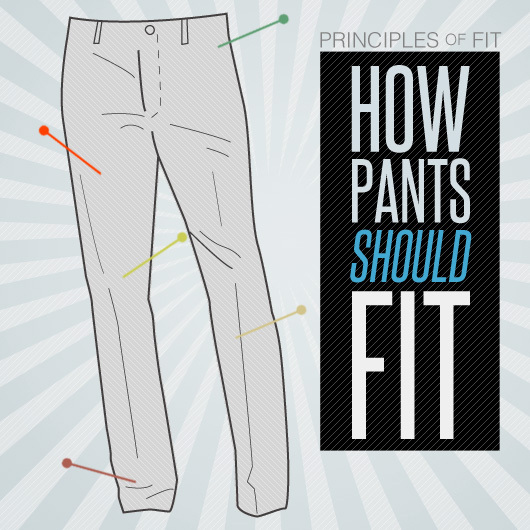 It’s not snug, which is nice, since it accommodates layers, but if you want more a tight, fitted look you can try sizing down. Great post. I see a lot of different get ups with jeans and high boots jeans and wing tips. Can we get a post dedicated to how the jeans meet the shoe? Just something to see how the variety of ways we wear jeans to complement the shoe/boot. Aside from showing great outfits for every day occasions, the thing I love most about these articles/posts is the fact that you chose affordable items. Some items may be a little pricer than others depending on the occasion but it’s still within my budget. Nothing more frustrating than reading a magazine or blog showing items that would cost my entire paycheck for one thing. Bravo! Thanks Tara! Glad you like them. Does anyone know what series that skagen watch is? love this post! Any alternatives to that Frank & Oak shirt though? Any darkish, non-busy shirt would be a good bet.